In this day and age, it is almost impossible to open a website, article or publication about IT without coming across DevOps. It seems to be defining the current state of development of the IT industry. It is also one of the most misunderstood and misused terms, a broad catch-all meant to convey ‘the only solution you need’ – whatever that means? 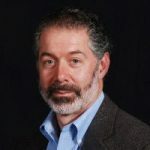 Two key experts who are furthering the awareness and adoption of DevOps are DevOps Agile Skills Association (DASA) members and contributors, Mike Orzen and Niels Loader. 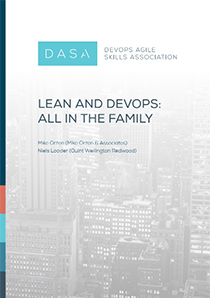 Their recently released white paper helps share the very close relations between DevOps, Lean IT, and Agile. What is DevOps, why it’s needed, how it works, what it does? 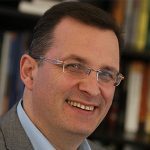 What is its relationship to Lean IT and Agile? How individuals need to act and what they need to know.